The house is a prototype for an architectural idea that simultaneously speaks to space and to construction. It is the house for the caretaker, the master of works, the architect, the protomaestro. 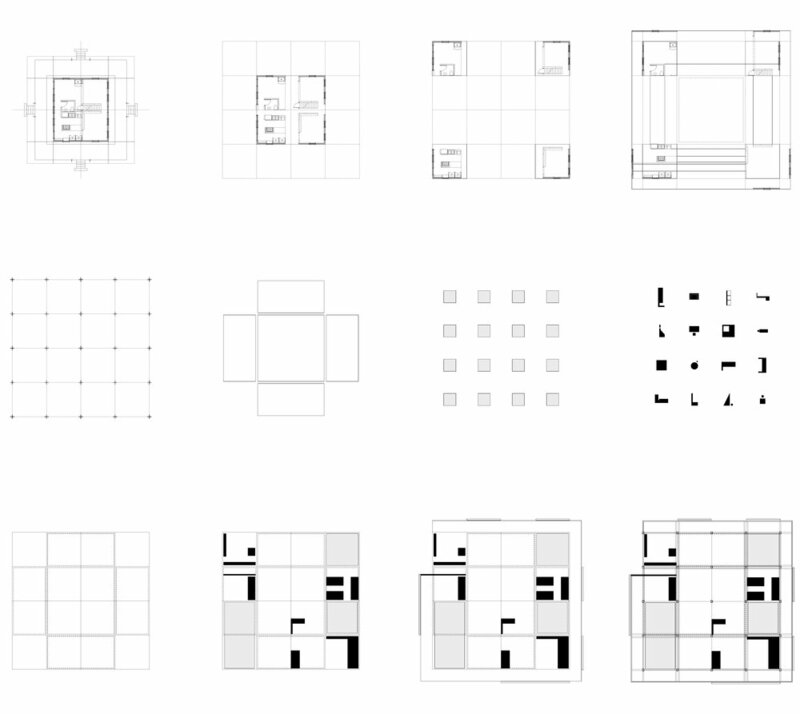 The design begins with the 16’ square grid of the original Caretaker’s House and the wood frame typology, which is then modified by the addition of secondary spaces, the inversion of interior and exterior, and the insertion of programmatic clusters. Taking inspiration from the great house studies of the recent past (Mies core houses, Hejduk Texas houses, Eisenman houses I through X) the Proto House is an effort to create pure form based on a set of operations and systematic moves. However, the intent is also to avoid the house being simply a resultant of the rule set. The method is to create a loose correspondence between structure, space, function, and construction systems, and to refine these relationships simultaneously with a singular, common logic. This process can be explored through four different material sets: wood, concrete, masonry, and steel.